The Sheikh Zayed Institute for Pediatric Surgical Innovation was prominently featured in the weekly magazine of The National newspaper in the United Arab Emirates. Reporter Sophie Roell spent a lot of time at our hospital and shared her firsthand perspectives on the Institute and the doctors who are working to advance surgery. "No parent wants to see a child in pain – of any kind, ever," Roell writes in her article, "Taking the Pain Out of Surgery." "Harder still is the idea that a child or tiny baby should have to go through surgery, or even multiple surgeries, as a result of an illness or accident." The article reports on progress made since the Institute was announced in September 2009. 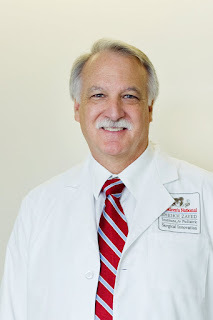 Dr. Kurt Newman, senior vice president at the Joseph E. Robert Jr. Center for Surgical Care and the Institute, said, "The vision is with children and their families – how to change radically the outcomes and results of surgery for children....What this institute proposes to do is work backward. If a child were having surgery, what would you like that to look like? What would the optimum outcome be?" 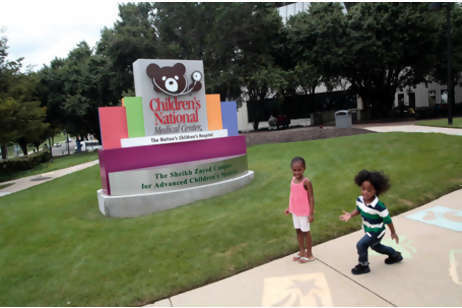 The historic gift of $150 million is enabling Children's National to tackle medical issues that are often underfunded. "The problems that children have are fewer in number, and the diseases are frequently rarer,” said Dr. Newman. "There are not as many doctors working on them, and the work may not be as profitable....It’s a huge deal, a huge bonus, to apply this amount of resources to what could be viewed as a very narrow area of focus. It gives us the opportunity to have a big impact." And the discoveries made in Washington, D.C., will benefit children around the world, the article says. "Whether it’s new medicines to eliminate pain, or new ways to do surgery, we want to bring the things we learn to Abu Dhabi and elsewhere around the world," Dr. Newman said." New Director of Innovation and Business Development Calls Institute "Unparalelled Opportunity to Accelerate Discovery"
Children’s National Medical Center has appointed Lawrence C. Mahan, PhD, as director of innovation and business development for the Sheikh Zayed Institute for Pediatric Surgical Innovation and the Office of Innovation and Investigational Therapeutics in the Children's Research Institute. Dr. Mahan will play a critical role at Children’s National by identifying and developing long-term initiatives that advance scientific projects and secure strategic partnerships and business opportunities for the center. Dr. Mahan has experience in advanced technology initiatives development and government relations. He is an accomplished senior scientist, who holds four U.S. patents and has more than 25 years experience in basic medical research, including 12 years service in the U.S. Department of Health and Human Services. Read more. HAAD: Partnership "Takes Innovative Approach to Improving Surgery for Children"
In a news release about the trip by a delegation of doctors and executives from Children's National Medical Center, the Health Authorty - Abu Dhabi emphasizes the progress of the Sheikh Zayed Institute for Pediatric Surgical Innovation in moving "from concept to reality." His Excellency Dr. Ahmed Mubarak Al Mazrouei, Chairman of the Health Authority – Abu Dhabi, said: “We remain grateful to His Highness Sheikh Khalifa bin Zayed Al Nahyan, President of the United Arab Emirates, and His Highness General Sheikh Mohammed bin Zayed Al Nahyan, Crown Prince of Abu Dhabi, as it is through their generosity and visionary leadership that such progress has been made possible. Over the past year, it’s been exciting to see the Sheikh Zayed Institute for Pediatric Surgical Innovation go from a concept to reality." Read the news release on HAAD's website.